Our skin experts have exactly the right treatment for you, using professional products in combination with the latest of technologies that you won’t find on the high street. We offer high-end facial rejuvenation and make it accessible to everyone. Book a free skin consultation via our online appointments page to find out how we can help you. No down time, just glowing skin. This laser treatment, is suitable for all skin types and is the go to treatment for skin rejuvenation due to it's amazing ability to improve a wide range of conditions. Famed across Asia for it's ability to create a flawless complexion, particularly Asian skin tones it is easy to see why this is the gold standard treatment. Our signature facial, this relaxing facial treatment is perfect for anyone wanting to tighten and tone, improve the overall texture of skin or to fight off the signs of ageing. Radio frequency stimulates large quantities of collagen production as well as remodeling the old. You can expect some instant results as well as results that continue to improve for a few weeks afterwards. 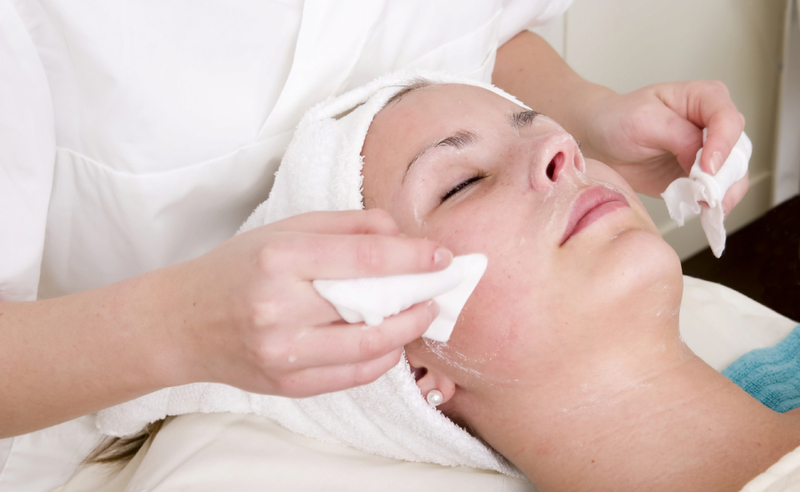 This facial is suitable as a course of 5 or 10 or regularly for age prevention. This facial treatment uses tiny needles to penetrate superficially with our nano needles, light with our 0.5mm right through to a depth of 2.5mm, depending on the condition being treated and the area of treatment. A topical numbing agent is applied to the face making this a pain free treatment. The serum contains 10 biomimetic peptides, 9 amino acids and combined with hyaluronic acid and 2% DMAE that acts to tighten, hydrate, rejuvenate and give tension to the skin. The result is a botox like effect. Aftercare cream is provided for you to take home. *May cause slight grazing over deep or target lines and wrinkles. The HIFU Ultherapy Facelift (High Intensity Focused Ultrasound) also known as ‘Ultrasound Facelift’ or ‘Ultherapy’ has become one of the most sought after lifting treatments for the face, neck and décolletage. HIFU is a non-surgical skin tightening and lifting treatment and the strongest non-invasive treatment currently available without surgery, by stimulating new collagen and elastin to form within the deepest layers of the skin SMAS layer, which is critical in maintaining your skin’s youthful appearance. It is extremely effective for skin rejuvenation, tightening of sagging skin and lifting. Noticeable improvements will be seen in skin laxity, facial contouring and skin texture. Some lifting is visible immediately after the treatment but, the optimal effects will be seen at 4 weeks post treatment with tightening continuing over the following 12 weeks. Improvements can still be seen for up to 12 months and results that can last up to 2 years. This non-surgical facial lifting treatment uses the power of to combined treatments HIFU and Plasmalift, meaning we can target hooded eyes, smokers lines, neck,chin, jowls and jawline. This is a non-invasive procedure that while it is intense does not use needles or scalpels. This is the perfect treatment for age group 50 to 60+ years and is not usually performed on younger clients due to it’s strength in lifting and tightening. Yes, you can achieve a look of 10 years younger. This is strictly a price on consultation treatment due to every client requiring a different treatment regime. This powerful treatments results are comparable to a combination of facial threads and full face dermal filler or a surgical lift. Without the associated risks and only a fraction of the price. I’m not the same as everyone else. This minimally invasive facial treatment is able to penetrate the skin with tiny needles to stimulate collagen production. It’s particularly helpful for skin damaged by sun or scarring. Fine lines and uneven skin tone can also be improved. Our treatment includes a facial skin cleanse with glycolic acid, a bespoke serum is applied to help target your specific concern. The serum seeps into the skin through open channels helped by the use of the light mask. Aftercare cream is provided for you to take home. Stimulates cell synthesis, eliminates dead skin cells, reduces thickness of the stratum corneum and epidermis. Increases the permeability of the skin through penetration of active ingredients in cosmetic preparations, evens out the skin surface, enhances the collagen, elastin and glycosaminoglycans, reduces wrinkles and eliminates blackheads. Safe and soothing formula. Suitable for even the most sensitive of skin. Even skin with visible capillaries, dry skin, eczema and rosacea. Lactobionic Acid is designed for exfoliation of surface cells of the stratum corneum, strengthening the protective barrier of the epidermis and stimulating fibroblasts to produce collagen fibres. The product prevents the formation of telangiectasia, enhances the elasticity of blood vessels. Helps relieve symptoms and treatment of rosacea, reduces redness of various origin and visibility of blood vessels. Soothes and relieves irritation, eliminates discomfort, moisturises and regenerates and evens skin tone. Can be used after micro-needling or laser therapy to soothe and calm the skin. Retinol, it is the new black. Advanced Exfoliating Treatment with Retinol and Vitamin C is designed for every type of skin, especially mature, affected by wrinkles, discolouration and acne. Effects of this powerful exfoliating peel can be seen after the first treatment, we recommend 3 treatments spaced 3 weeks apart. Not everyone will have skin flaking but this can happen with this treatment, revealing beautiful new skin after a few days. Yes, I want great skin. Designed for acne skin, skin pigmentation, wrinkles, excessive secretion of sebum & skin imperfections. This skin restructuring facial uses combined acids at easch step of the treatment to achieve a restructuring effect of the skin and reducing active inflammations and sun damaged skin. Using the power of nature we are able to exfoliate with an enzymatic and magnetic scrub, cleanse with activated charcoal, stimulate and tighten with snail slime before indulging in a regenerating algae mask. Combining these natural products removes harsh environmental stresses and brightens dull skin while replacing vital elements. It’s light, but not as we know it. Does this facial go where no one has gone before? The light mask is able to penetrate to the deeper levels of the skin. Specific colours treat to different depths and encourage different responses within the skin meaning that it is able to target many conditions simply by changing the colour of the photon light. This treatment is available as a stand alone bespoke facial treatment, but is recommended to use as an accompaniment on to other facial treatments to enhance the overall effects.